Students, parents and teachers in Dover, New Hampshire, spoke out after a racist jingle was sung in class. 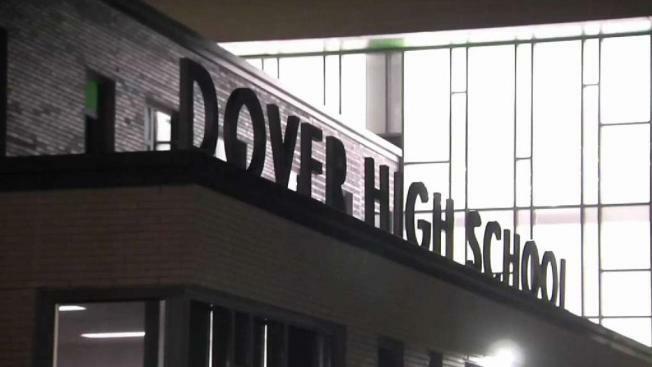 Students, parents and teachers spoke Monday at a school board meeting after video showed high schoolers singing a racist jingle in Dover, New Hampshire. A teacher was suspended after video began circulating online showing students singing a song set to "Jingle Bells" with lyrics including, "KKK, KKK, let's kill all the blacks." The assignment, in an 11th grade U.S. history class at Dover High School, was to change the lyrics to a Christmas jingle to tell a story about Reconstruction, the period after the Civil War. Two students in the class chose the KKK as their topic, singing lyrics such as "White masks on our heads, blood beneath our feet, laughing till they're dead -- ha, ha, ha." History teacher and baseball coach John Carver gave the assignment. He was suspended amid the investigation. "Being here now, it's just kind of nervous. Always nervous coming to school and, like, seeing what could happen," Kyanna Marrow, a biriacial student at Dover High School. "It was kind of hurtful." Opinions differed among those in the auditorium for Monday's school board meeting as to whether Carver should keep his job. Chloe Harris, a student in the class, said she recorded the incident because she wasn't sure anyone would believe what happened. "Thought if I don't record this, this is going to be the only evidence that I have that this happened," said the 16-year-old, who spoke to NBC10 Boston last week with permission from her mother.